The front mudguard is raised for clearance for the front wheel travel which, along with the rear, has increased to 200mm. This raises the seat height by a massive 70mm, to 680mm. Thankfully, the optional seat drops the seat height to 840mm. The front mudguard is raised for clearance for the front wheel travel which, along with the rear, has increased to 200mm. 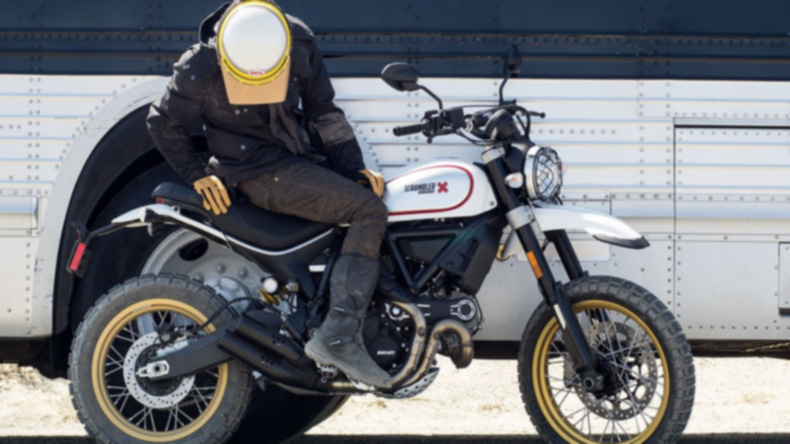 The Desert Sled is Ducati’s more aggressive ‘off-road’-oriented take on the Scrambler. 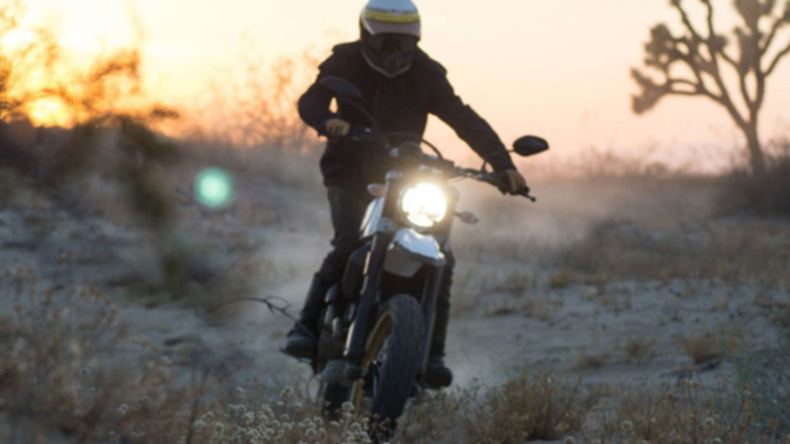 To cope with the rigours of off-road usage, the Scrambler’s tubular frame gets reinforcements in key areas. The aluminium handlebar gets a strut across as well, for reinforcement. The seat gets a ribbed pattern for more grip while the motocross-style footpegs get removable rubber pads for more grip when used off-road. The exhaust is now a more compact twin-piped affair. Protection from off-road obstacles comes in the form of an underbelly skid plate and a wire mesh protector on the round headlamp. The wheels are 19-inch front and 17-inch rear spoked aluminium rims which now come fitted with Pirelli Scorpion Rally STR on-/off-road tyres. Power is courtesy an 803cc air- and oil-cooled L-twin motor that makes 75PS @ 8,250rpm and 68Nm of torque @ 5,750 rpm. Updates to the engine include improved throttle control and revised engine calibration which claims to smoothen out bottom-end power delivery. Brakes are a single 330mm disc clamped to a 4-piston Brembo M4.32B Monobloc calliper upfront and a 245 mm disc with a single piston calliper at the back. 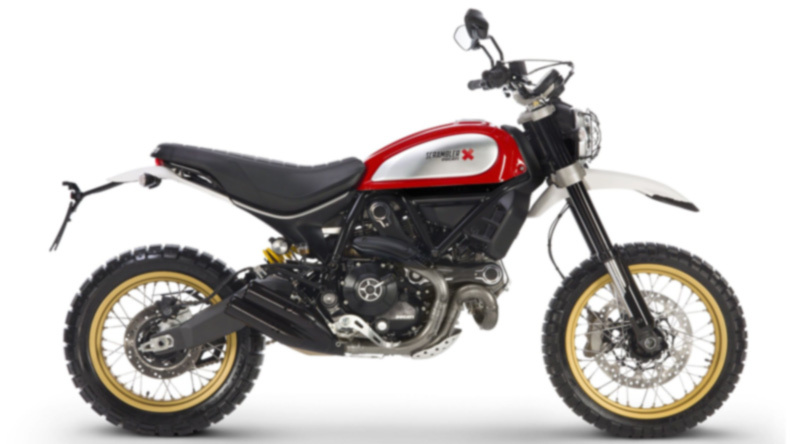 ABS is standard.In terms of aesthetics, the Scrambler Desert Sled comes in two colours – ‘Red Dusk’ and ‘White Mirage’. The spoked wheels with gold-painted rims come as standard fitment. 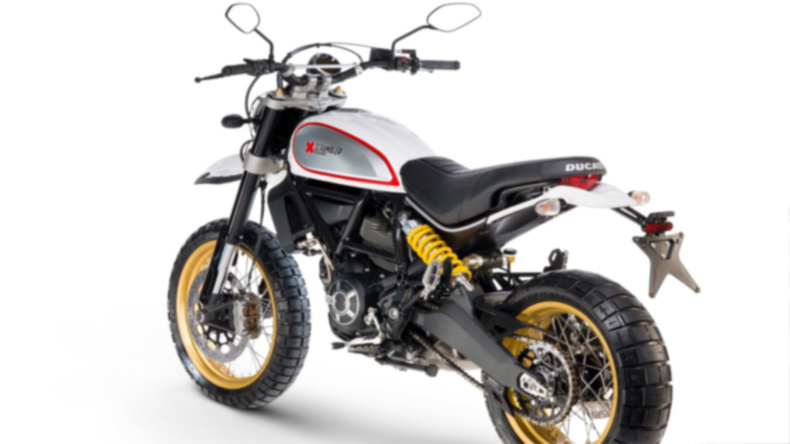 The Desert Sled, at Rs 9.32 lakh (ex-showroom, pan-India), is the most expensive Scrambler variant available in India. The other two variants are the Icon (Rs 7.23 lakh) and Classic (Rs 8.48 lakh). Bookings for the Desert Sled are now open at Ducati dealerships in Delhi NCR, Mumbai, Bangalore, Pune, Ahmedabad and Kochi.